Leading the North America inbound container trade in 2014 were the Southern California ports of Los Angeles and Long Beach with a combined volume of 7.7 million TEUs, up 4.8 percent year-over-year and representing 32.3 percent of the overall North America inbound container trade. The JOC Top 25 container inbound ports in North America in 2014 represented 97.4 percent or 23.3 million TEUs of the 23.9 million TEUs in the total North America inbound laden container trade. The total volume of these top 25 inbound ports in 2014 increased 6.5 percent year-over-year, slightly outpacing the 6.4 percent growth of all inbound ports in North America. Among these top 25 inbound ports in 2014, 17 were U.S. ports, four Canadian ports and four Mexico ports. 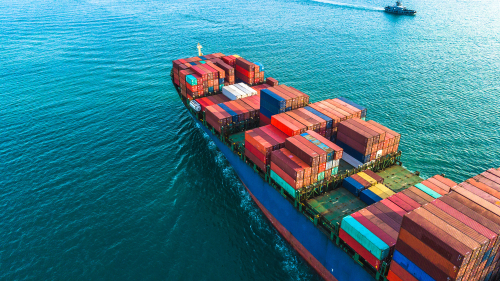 By market share, among these top 25 inbound ports, U.S. ports led with 77.8 percent of the total North America trade, Canada held an 11 percent share and Mexico held an 8.6 percent share.